You are cordially invited to join us Thursday, March 15th, for a highly-curated, salon-styled gathering with hors' d' oeuvres and wine at HP headquarters in Palo Alto. Please join, HP and Vator for their SplashX Invent Health series. 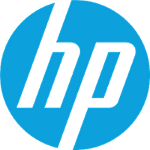 SplashX Invent Health (#splashxinventhealth) is a quarterly twilight salon-styled tech talk and mixer produced by HP and Vator, where valuable lessons and insights are shared by healthcare investors, startup entrepreneurs and corporate innovators. While we do have guest "speakers", we're all participating in the dialogue. We encourage the audience to grab the microphone and engage in the conversation!